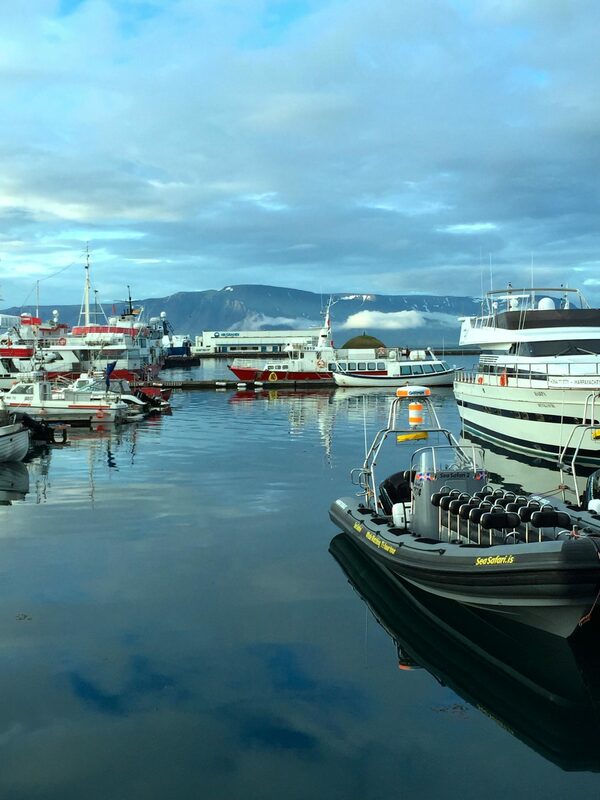 Reykjavik, known as Cove of Smoke, is the capital of Iceland with roughly 2/3 of the population residing in the city and it’s surrounding parts. It’s a relatively small area but it’s compact with design studios, art galleries, an active port, shopping, heated swimming pools, lots of fantastic food plus the Harpa and bars for music. It’s summer in the city and tourists are crowding the streets, highways, waterfalls and glaciers. Icelanders enjoy roughly 24 hours of sunlight from April – October. The sun gods are rewarding them for they will savor these days when the calendar turns October and the sun makes an appearance only three-five hours a day until the end of March. When I asked a local how he survives such darkness, he professed nothing changes. They just use more street and indoor lighting. Iceland is the 18th largest island in the world with about seven percent habitability as the topography of the island consists of mainly mountains and glaciers – wasteland as locals refer to it. Iceland is relatively young having formed on the ocean surface about 16-18 million years ago by a series of volcanic eruptions in the Mid-Atlantic Ridge. The island is located at the juncture of two continents and lies between the North American and Eurasian plates, which spread at a rate of 2.5 centimeters per year. Geological depictions that map Europe and North America some 65 million years ago and today actually show Iceland moving closer to North America but it will probably be another 60 million years before Iceland attaches to other land. Americans are rooting for a North American connect. 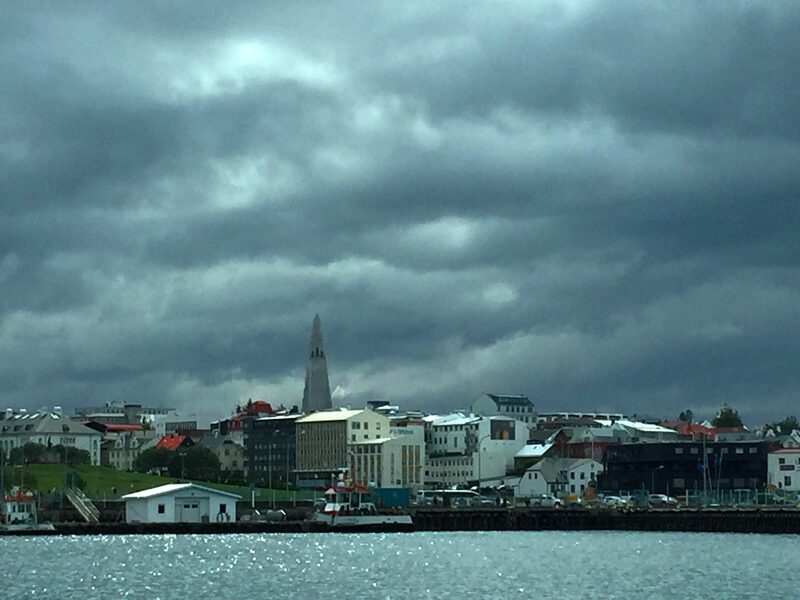 The earliest settler arrived in Reykjavik around 874 from Norway. At that time, the Vikings “seafarers” were setting out from Norway and Denmark some to seek freedom from tyranny in their homelands or possibly for food as their communities grew crowded. My guide Jon informed me that the Vikings lived and died by the sword, which may explain why Icelanders are so resilient, strong and happy today. They have fought for generations to survive. Iceland can blame the Vikings for the rats and mice and cats and horses. The only native animal to Iceland is the Arctic Fox and Arctic Tern(bird) . Iceland is one of the Nordic countries (Norway, Denmark, Sweden, Finland, the Faroe Islands, Aland Islands and Greenland). The locals may resemble a Norwegian, Dane or Swede or German (think white blonde hair, tall, natural) but they are Icelandic people speaking Icelandic, a sub-group of the North Germanic languages. Please save us all and don’t try pronouncing anything. You will be wrong like way off! 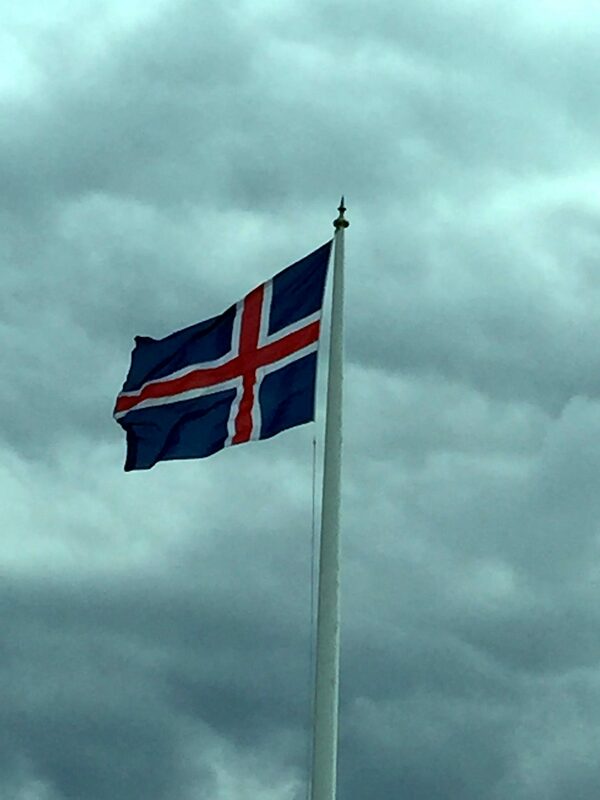 It is believed that if one of the earlier settlers returned to present day Iceland he/she would have no issue understanding as Icelandic is an insular language. Give it a go if you must! If you didn’t master that lesson, not to worry, everyone speaks English perfectly fine in Reykjavik and locals smile and giggle when you try speaking Icelandic anyway. One thing I did learn while we were there is that the Icelandic language is the purest of all the Norse/Viking languages, and whereas Norwegians, Swedes and Danish can’t read a lick of old viking texts, most of the old texts are still readable or comprehensible for most modern Icelanders. CRAZY! I really DO feel like I’m on a fantasy trip with you.